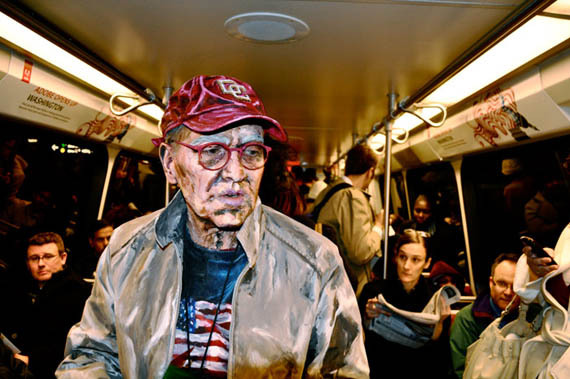 If you're first thought when looking at paintings by Alexa Meade is "What's so incredible about this?" then you probably think they were done on canvas. But thery're not! What makes Alexa Meade's technique so interesting is that rather than painting on a flat surface to make it look 3 dimensional, she paints on 3D surfaces to make them look flat. Each portrait is an actual person that looks like a painting. Check out more of Meade's paintings here.